When older white guys from the suburbs sit down and talk about how to improve “our” city, prepare to observe an exercise in ignorance and self-absorption. This morning’s Star delivers a heaping pile of both when the Star’s Tom McClanahan gushes about the great idea that “seems to have bubbled up by itself” and was voiced by Mission Hills resident Jim Heeter – a Kansas City arts festival. By the end of the column, McClanahan shows the extent of his knowledge of the arts community by suggesting that “all the Kansas City Arts Festival needs is an energetic coordinator”, and he nominates none other than Mission Hills resident Jim Heeter. Now, to be clear, the idea is not a bad one. In fact, it’s a great one. 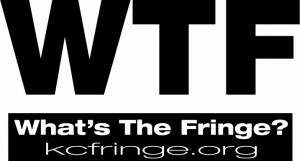 In fact, it IS one – as in, we already have the Kansas City Fringe Festival, which has been growing in size and artistic impact for 7 years right here in Kansas City. This year, it will stretch over two weekends in July, and projections are that it will draw thousands into our city to attend plays, fashion shows, gallery openings, poetry readings, and performances of all types in dozens of venues. Let’s also be clear that the Fringe Festival could use some help to become the huge civic event that McClanahan and Heeter have in mind. If people like McClanahan would get on board and use his influence to direct attention and dollars to the Fringe Festival, it could be much bigger and much better publicized. (It should be noted that the Star’s InkKC does publicize the Fringe, as do the excellent writers on the Star’s A&E page.) 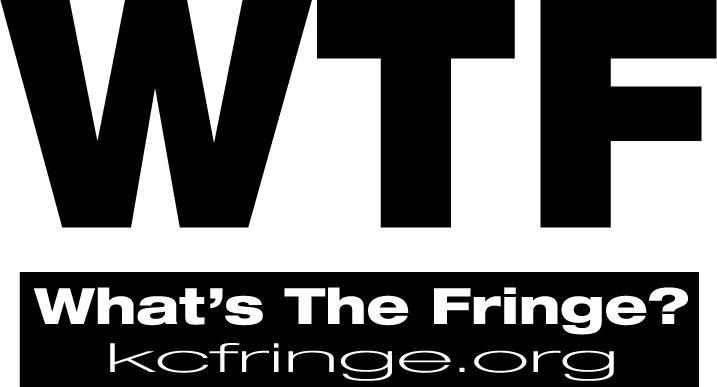 If GKC Chamber of Commerce ED Jim Heeter used his substantial pull in the business community to direct sponsorship dollars to the Fringe Festival, it could expand its scope both in length and in number of performances. Whatever frustration arises from that myopia, though, it is tempered by pleasure in the fact that people like McClanahan and Heeter are realizing that there is real civic value in the arts community of Kansas City. If they follow up their day-dreaming with research and resources, even more good things might start happening. As an aside, guess how much money the government of Jim Heeter’s Mission Hills directs to supporting regional art festivals . . .
Hushing the Minority Voice: Should KC Have At-Large Council Seats? Kansas City has 6 seats on its Council that are elected by the entire city, instead of by district. While African-Americans comprise ~30% of the city’s population, only 1 of those seats – 17% – is held by an African-American. This election cycle, a white male, Durwin Rice, is running for that seat, having recently moved to the district. Kansas City may soon have an all-white group of at-large council members. Frankly, I had never given much thought to at-large seats as a policy matter until I read this blog post criticizing Durwin Rice’s candidacy. I was struck by the incongruity of a white university professor living in Camden, NJ, opining about who should seek the at-large seat of the largely African-American 3rd district of Kansas City. She’s correct in claiming she is an ally of that district, helpfully explaining “which means, I got your back.” Pointedly denying that she could be a good leader for that district, she nevertheless seeks to prevent someone else not “of the district” from running at large, fearing that “her people” (presumably, white people this time) will elect him. It’s a fascinating piece, full of internal conflict and raising all kinds of questions. It is perhaps unfair to point out that the piece is a white University professor writing from Camden, NJ, to tell a white resident of the 3rd district that he should seek office because he might get elected by the people who get to vote. Passing strange. All of which is a lengthy introduction to the issue of at-large seats on the Kansas City Council. Why DO we allow people who live up near the airport to vote on who gets to represent people who live at 31st and Indiana? Or vice versa? As demonstrated by the current under-representation (and potential future non-representation) of African-American at-large Council members, it’s tougher for minority candidates to win at-large races than in-district races. At-large seats have a strong pro-majority, anti-minority bias. Imagine if, instead of 12 seats divided into 6 districts, we had 12 districts. Perhaps we would see more African-Americans elected. Perhaps we would see a Latino representative. Perhaps we would see large money playing less of a role in our city elections (it’s more expensive to run at-large, while dividing the city into 12 districts would allow a shoe-leather campaign a better chance of winning). I’d be willing to give up my right to vote for who represents people in the Northeast if I could vote for someone from my neighborhood. What about you? Jason Noble of the Kansas City Star proved today that he is a stenographer, not a journalist. Back in the day, journalists had a higher duty than simply copying down whatever lies a favored politician offered up. Instead, they would ask follow-up questions to expose the lie, or even put a sentence in their article explaining that what the politician said was false. But, at the Kansas City Star, if the lie you are spouting is an attack on our Mayor, you face no such hostility or defense of the truth. Today, Republican Ryan Silvey pulled a shallow publicity stunt, threatening to harm Kansas City because he wants our city to take tax dollars from basic services and donate it to the County for the stadiums. So far, so good – I understand that Ryan Silvey is part of a minority of people who think that we should not fully fund our police department but we should fully fund stadiums for suburbanites. We disagree, but he’s entitled to his own positions. Ryan Silvey is not entitled to make up his own facts, though. In defending his publicity stunt, Silvey claimed, “Pulling the money breaches the city’s contract with the Chiefs and Royals . . .“. Folks, that’s a lie. A big, fat whopper of a lie that no serious observer of the stadium drama could fail to recognize. There is no contract between the city and the teams. Did Jason Noble challenge the falsehood? Did Jason Noble point out in his article that there is no contract between the city and the teams? Did Jason Noble ask a follow-up question to clarify the point? Guinness stout is one of the classic beers of the world. Browne’s Market is one of the classic stores in the city. On March 14, these two classics will be combined, as Fergal Murray, the master brewer of the most esteemed Irish beer will be visiting the most esteemed Irish market in Midwest. More details will follow in the coming month, but mark your calendar for an Irish beer experience you’ll never forget. Hyde Park – Making Kansas City Just a Little More Dangerous? Just north of 38th Street, between the north and southbound lanes of Gillham Road, is one of Kansas City’s prettiest little parks. It consists of a small valley or a large ravine, with stairs leading down into it from the north end, while the south end is open and inviting. There are few improvements – a couple picnic tables, a swingset, some tennis courts, and street lights. I’ve walked down there, and it’s a quiet, open, slightly cooler place to escape road noise and surround yourself with pretty stone formations. You can imagine what it was like when it was a golf course, and cows would graze on the greens. Unfortunately, the clock is ticking on this little gem. Over the years, it will be transforming into a heavily wooded sinkhole choked with leaves and littered with crime. In recent months, some insane arborist has planted dozens of trees throughout the park, transforming its future into a dark forest where crime can flourish and its bucolic past will be obliterated. Right now, the impact is minimal, but the 30+ trees are sprinkled throughout the small park, spaced as if intended to block sight-lines and create a claustrophobic forest from a secluded open space. They are merely saplings now, but, if allowed to grow, they will change forever the look and feel of what our ancestors saw on the wagon trail between Independence and Westport, perhaps on their way to Santa Fe. I’m sure that whoever decided that this small patch of historical ground could somehow be improved by jamming as many trees as possible into its open spaces was well-intentioned. Trees are beautiful and they help the environment. But when trees become a dense, dark forest and crowd out an historic, beautiful space, they lose some of their beauty. If you want to enjoy Hyde Park, you’d better do so in the next couple years. Do You Like Guitars? You Ought to See this Guy Tonight. Will Matthews is Kansas City’s best jazz guitarist. As far as I know, he’s the world’s best jazz guitarist, but I can’t be as dead certain of that claim. Either way, you can sit a few yards away from him this evening at the Blue Room for $15, and be blown away. A few years ago, I was flipping through a cut-out bin and found an album entitled “Will Matthews Solo” and it was only a couple dollars. I saw he was a Kansas City native so I gave it a try, with no expectations or preconceptions. That album wound up at the top of my top 50 albums 2000-2009 because I’ve listened to it more than any other album in my collection. I lack the vocabulary of a true jazz critic, so I’ll quote one: “Those who know me have always heard me say that Will’s tone and phrasing is a perfect blend of George Benson, Grant Green, and Wes Montgomery, supported by his strong chordal concept, which, unavoidably, is pure Kenny Burrell (and why would anyone want to go around that? ).” I’ll just add that the music sounds like rubbed brass looks. It won’t only be Will Matthews tonight, though. Your $15 dollars gets his whole quartet. He’s just released a CD with Mel Rhyne on the Hammond B3 organ, Bobby Watson on the alto saxophone and Kenny Phelps on the drums. I’ll happily pay full price for this one . . .
Has the Plaza Lost its Charm? I remember my first visits to the Plaza, back in the early 80s. My wife and I would drive up from Columbia and stay with my brother and sister-in-law in an apartment near the Plaza, and we would walk down Main to the most glamorous shopping district I had yet visited. You couldn’t help but be impressed that Kansas City hosted a Saks – one of the snootiest retailers in the world – and that locally-owned Halls seemed just as elegant but twice as friendly. Saks has disappeared, with luxury-priced lawyers now serving as inventory in its former space. At the time, the retail felt like a piece of New York or London, right on the concrete shores of a trickle-sized Brush Creek. Dining was different, too. Before Starbucks infiltrated the universe, Emile’s was a German deli serving perfectly crafted sandwiches with a pickle wedge. Ubiquity overcame uniqueness. Downstairs in Seville Square was The Longbranch Saloon. (Can you even go downstairs in Seville Square anymore, except in Urban Outfitters?) Longbranch was a classic bar partially owned by Lou Piniella that was a landmark for celebrity sighting and ice-cold American beer. They had handwritten signs all over the walls with wry humor. Upstairs in Seville Square was a group of small shops pushing trinkets, imports and jewelry. Not very high-class, but a lot of personality. And that’s what’s changed more than anything. The Plaza has lost its Kansas City personality, and become a typical suburban mall without a roof. Even the tennis courts on the East side of the Plaza have become a “tennis complex”, and the Winsteads a block further East has drive-though instead of carhop service. I miss the old Function Junction, and the chipwich cart at Seville Plaza. I miss Anne’s Santa Fe. Heck, I even miss the old traffic layout, when Main Street went straight through as a street, instead of part of that monstrous parking lot with traffic lights. I miss Fred P. Ott’s, even though I know it’s still there, serving great burgers all by itself on the lonely south eastern corner of the Plaza. I miss the adventure of intersections without stop signs or stop lights. There was a time when the Plaza was the crown jewel of Kansas City spending. If you wanted to buy something or eat a fancy meal, you headed to the Plaza. If you wanted to show an out-of-town visitor something wonderful about Kansas City, you would drive them down Ward Parkway and wind up on the Plaza, and they were always impressed. By all means, it’s still a great place to go. Some things are better – Classic Cup is an upgrade over the coffee house that preceded it, and sitting on the roof deck at O’Dowd’s is a joy unrivaled in Cupcake Land. Next week, the lights will come on and it will be a sparkly gem at night. It will be beautiful, and I look forward to going down there for at least one “Oh my gosh, Christmas is next week” visit. I still love the Plaza, but the charm has faded since it was at its peak. 1. Leonard’s, for biscuits and gravy. Leonard’s was a previous occupant of what is now Governor Stumpy’s, and they put out the best biscuits and gravy I’ve ever had. The gravy was peppery, with lots of tasty sausage, and the biscuits were soft with a crisp crust. 2. La Mediterranee for lunch. On the east side of the Plaza, a quiet, elegant French restaurant used to serve top-notch fare on fine china with white tablecloths for around $5. 3. Al Roubaie’s (sp?) for lobster. Up the hill on Main from the Plaza, back when Main went straight over the creek, was a spotty little restaurant with a great lobster special. If I recall correctly, you got lobster and sides for $15, and it was a feast. 4. Thirsty’s Cantina for lunch. I don’t know how they packed so much flavor into a simple chicken sandwich, but it was wonderful. There used to be a great bar in the space now occupied by Panerra in Westport. They also served a burrito thing I can’t remember the name of (chicken cantina? ), but it was filled with chicken in a creamy, cheesy sauce with just enough jalapeno to make it shine. All that, plus chips and salsa. 5. TJ Cinnamon’s. I know that the name lives on as a corporate asset of the Arby’s chain, but, if you weren’t around to experience it, you have no idea how mouth-watering a walk through Ward Parkway mall could be back in the mid-80s. The aromas of butter and cinnamon wafted through the then-active halls of commerce. The rolls were warm and soft – the size of softballs – and they were individual treasures, not boxed products. This trip down memory lane has not truly been a lament. I think we have more, better restaurants today than we did 20 years ago. I wouldn’t even trade the dependable neighborhood friendliness of Governor Stumpy’s for the breakfast of Leonard’s. Things change and they sometimes get better. But these are some fond food memories I have of Kansas City . . .